We are all guilty of overdressing our kids when we feel that the weather has cooled down, especially in Kuwait because we are not used to cold winters. 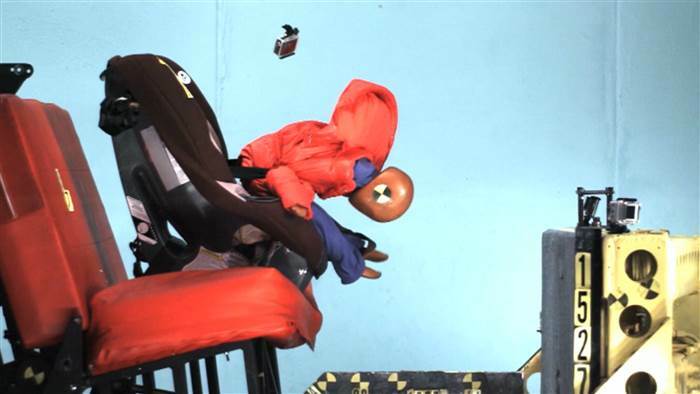 Research has shown that we should never but our children in a car seat wearing their jackets as it can be very dangerous and unsafe for our children. Watch the video below and please share it with all the parents you know. rewarding than introducing children to the world of yoga! The highly acclaimed GroovyKids Yoga Training makes an exciting appearance from Los Angeles to Kuwait on October 3rd-4th (2014) – and whether you are parent, yoga teacher, school teacher or a therapist interested in working with and teaching children the creative, healthy and therapeutic lessons of Yoga, you can now enrol into the exciting two day training taught by the founder himself, Greville Henwood. GroovyKids, founded in 2004, has been taught across the U.S., Qatar, Spain, Norway, Greece, Cyprus, Dubai and now in Kuwait. The two day exciting program will revolve around different approaches to teaching Kids Yoga, the logic, sequencing and benefits behind each approach and it’s effectiveness in different settings, be it in a dedicated yoga studio, a school, a small group class in a private home or even individual private classes. Participants will also have hands-on training in real live setting with children for a deeper and more confident understanding. This training will encourage moms, yoga teachers and school teachers to walk away with a solid foundation in putting together a creative, joyful and intelligent GroovyKids Yoga class! Dates: October 3rd-4th, 2014 (Friday – Saturday). Timings: 9am – 1:30pm, on both days. and Certificate of completion provided. Keeping our youth strong is absolutely vital to help them be prepared for the future and to be successful members of society, which is why the Kuwait for Kids Foundation was established. The KFK Foundation believes that it’s crucial that children must be stimulated in order to build a strong future for the next generations. The foundation strives to promote the expertise and skills of the youth of Kuwait, providing them with the tools and opportunities they need to become the building blocks that will create a brighter future for the world. At the KFK Foundation, it’s our goal to enrich the lives of children by providing them with encouragement to help them shine in their homes, at school and in society, regardless of any unfortunate circumstances that may fall upon them. We believe in today’s youth and know that enriching their lives can help them to conquer any obstacles that may be between them and a bright future. It’s our goal to recognize underprivileged children and give them the support they need to become the best they can be. Our organization is focused on promoting the excellence of each child we work with and to provide the society of Kuwait with the strength they need to ensure there is equality among all of the economic sectors. To promote the success of Kuwaiti society as a whole, we believe it’s important to help give the children of economically disadvantaged families the resilience and determination they need to be self-reliant, building a more secure society overall. By helping these bright minds overcome the odds set against them and nurturing and strengthening them to achieve, we will create a brighter future for them all. In order to provide these children with the tools they need to become successful, we need your support. To financially contribute go to www.kuwaitforkids.org our crowd funding website and help a deserving child, for volunteering kindly email us your details to volunteer@kuwaitforkids.org and for a child nomination you can fill out our form and send it to our address or complete our easy online application. Your contributions help us to create a stronger Kuwaiti society, enriching the lives of each underprivileged child we work with, aiding them in creating a better future for all. I’m a huge fan of TED Talks. There are so many amazing stories, inspirational talents and talks that can change the way you see and do things. One of my favorite TED Talks is By Cameron Herold. called Let’s raise kids to be entrepreneurs. He poses the question: “Why not train our kids to be entrepreneurs instead of employees?” Why do we hire tutors to address our children’s shortcomings, instead of hiring ones who bolster their talents? In our society have we made it so easy for our children; failed to let them learn the hard lessons and in no means spurred their creativity ?